Accepted methods of online payment include e-check, Visa, Mastercard, and Discover. This convenient service is offered to ECMS and Summer@Eastman students for no additional fee. Be sure to carefully enter your 8-digit Student ID Number. Summer@Eastman students will receive an email statement from the Summer@Eastman office. 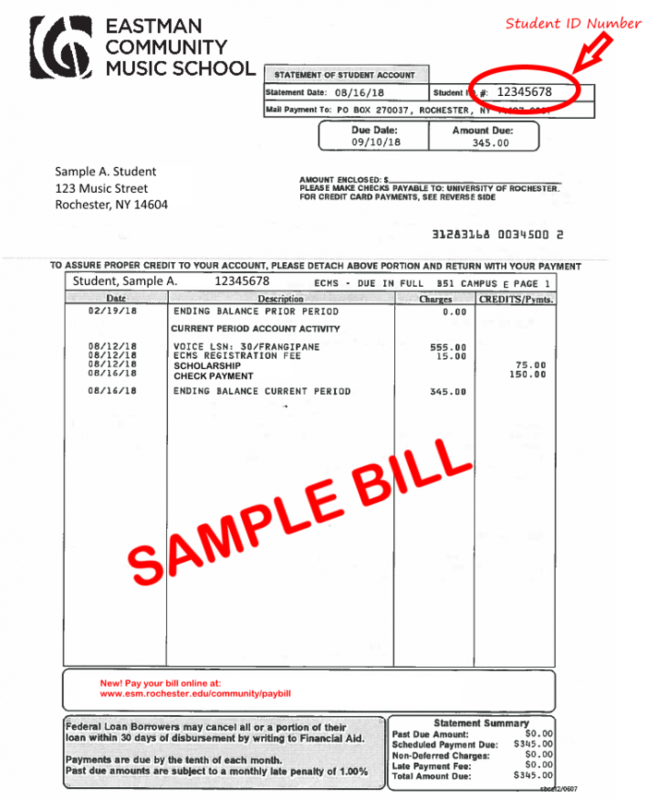 The UR ID number is printed in the top left corner of the billing statement (above the blue boxes).